Valueshop - the memory card specialist for 10 years � we have established ourself as the UK's favourite, cheapest and most reliable online retailer. We provide the lowest UK prices on Digital Camera Memory Cards & Mobile Phone Memory, compact flash cards, compact flash memory cards, compact flash card, sandisk compact flash cards, sandisk compact flash. 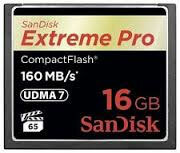 Valueshop is the place for cheap compact flash memory cards! Every digital memory card format is available on our webstie, from Micro SD cards to SDHC cards and PSP Memory. Browse our cheap compact flash memory cards for all types of mobile phones and digital cameras, USB Memory Stick Pen Drives and Memory Card Readers. SanDisk Ultra II compactflash cards are ideal for your most demanding photo shoots, sports, nature and fashion photography, High Speed Data transfer, Read Speed: 10 Mb/s, Write Speed: 9 Mb/s, 10 Years limited warranty, Includes Plastic Case, For use in digital cameras. 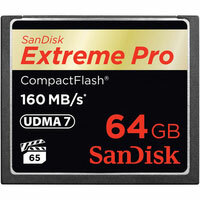 SanDisk Extreme compactflash cards are ideal for your most demanding photo shoots, sports, nature and fashion photography, High Speed Data transfer, Read Speed: 60 Mb/s, Write Speed: 60 Mb/s, 10 Years limited warranty, Includes Plastic Case, For use in digital cameras. SanDisk Extreme III compactflash cards are ideal to meet the critical speed and performance needs of serious professional photographers, Quickly capture, view, upload and transfer large image files, Innovative ESP Technology for the fastest speeds and highest performance, RescuePRO� allows you to recover images, documents, mail, video, music � just about any digital file, with ease, Built with leading-edge media recovery algorithms, Read Speed: 20 Mb/s, Write Speed: 20 Mb/s, 10 Years limited warranty, Includes Plastic Case, For use in digital cameras. All the above compact flash memory cards will give your digital cameras, mobile phones, camcorders, MP3 Players, game consoles, laptops, desktops, printers and other electronic devices more data storage, so you can recall the memory of all those special moments in life whenever you want.